EcoGrow is an organic soil stabilizer whose effective uses include ; - Balancing of soil pH levels. - Increases water retention. - It has been proven as a chemical-free repellant of thrips, whiteflies and Diamond Back Moth. 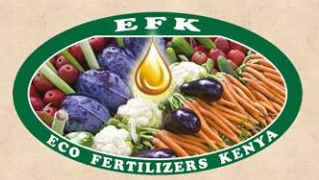 - It also serves as a complimentary fertilizer to inorganic fertilizers. Our biofuel and fertiliser products are produced 100% organic with no chemical additives at any point in the process. 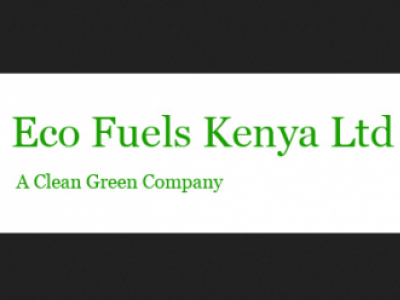 At Eco Fuels Kenya Ltd we appreciate Kenya’s abundant natural resources and pristine beauty present a unique opportunity for humans, agriculture, and wildlife to flourish. We are proud to source, manufacture, and sell our products within a brief driving distance of our initial factory site just west of Mt. Kenya in Naro Moru. By creating employment and economic opportunity through a natural resource that was previously ignored, Eco Fuels Kenya and all our stakeholders demonstrate a commitment to the economic independence and prosperity of the most industrially developed country in East Africa. It is our intention to set an example for how social enterprises should operate in Africa and to positively contribute to the continued growth of our wonderful country.